Boost your SEO with this extension and share your content on Facebook. Why should you use Open Graph tags on your site? When someone shares content from your site to Facebook, Facebook crawler will scrape the HTML of the URL that is shared. Take control of what the Facebook crawler picks up from each page by using Open Graph meta tags. 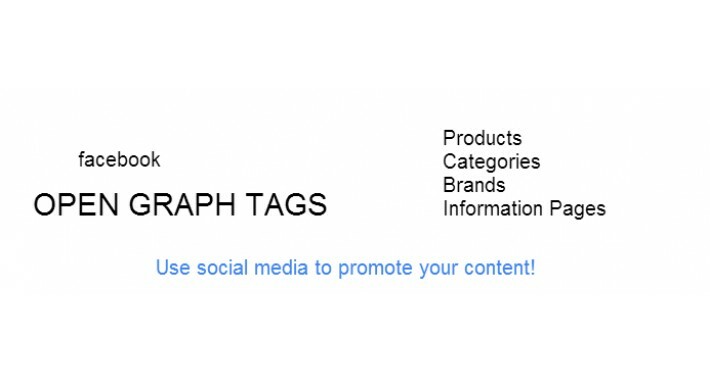 These tags provide structured info about the page such as the title, description, preview image, price and more. This extension adds Open Graph markup to your site accordingly to the latest Facebook requirements.